Up-to-date news and reviews of the latest gadgets and technologies as well as discoveries in the world of science and medicine. We've had an affinity for INQ's Cloud Touch since we Poked and prodded the little device back in February, and now thanks to Carphone Warehouse we've got the all important pricetag to accompany the specs. Starting April 6, you'll be able to pick up the Facebook-ified device in the UK completely SIM-free for £300, or about $486. 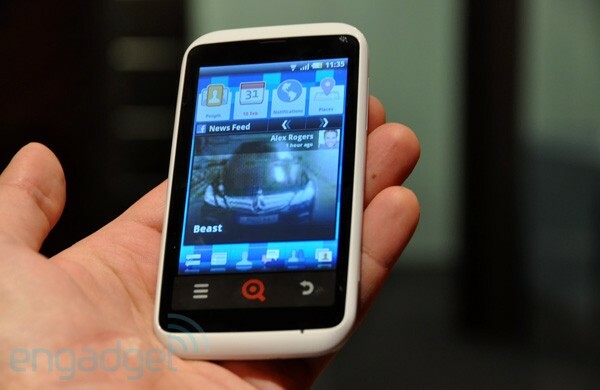 Not a bad deal for a 3.5-inch Android 2.2 handset with a 5-megapixel shooter and a custom Facebook homescreen. Of course, it lacks the Facebook Buttons of HTC's offerings, but if you simply can't wait to be the first person on the block with a Facebook phone you should definitely give the Cloud Touch a peek. Do you want to talk about this? Please, go to the comments section below and let your opinion be known to the author and everybody else. What is the main use of a tablet? HB. Awesome Inc. theme. Theme images by Jason Morrow. Powered by Blogger.